In addition to individual worker dose monitoring, area and environmental monitoring may be imposed by local regulation. These controls are performed in control areas or adjacent areas classified as public. They are also performed outdoor especially for perimeter monitoring of Nuclear facilities. These measurements are usually carried out by an area dosimeter in H*(10). Home / Knowledge center / Go further / Area dosimeter: What are your duties regarding area and environmental dose monitoring? The aim of area monitoring is to ensure compliance of control areas and public areas adjacent to each room containing a generator or a source. It allows to identify any leakage in the X-ray generator or shielding defect on a source. It ensures that your nuclear or industrial installation, hospital or facility is safe for you, your employees and visitors. These controls are carried out continuously with passive dosimeters over a period of 1 or 3 months. Its presence in a workstation does not, under any circumstances, exempt the use of personal dosimeters. 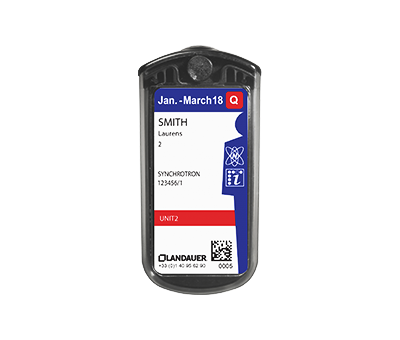 The area dosimeter can, under no circumstances, replace a personal dosimeter. ‘Visitor’ dosimeters can be provided on request. The area dosimeter should be placed at the entrance of the room in which the ionizing radiation source is found, inside or outside as advised by the Radiation Protection Expert. It should be ideally mounted at chest height. 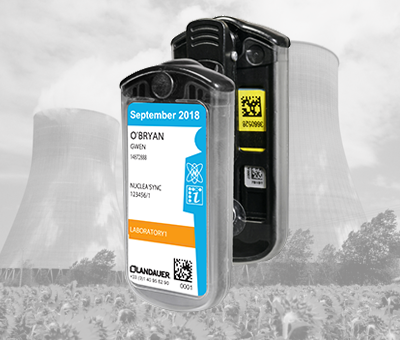 The results of the ambient dosimeters are transmitted directly to the Radiation Protection Expert through LANDAUER direct web platform. 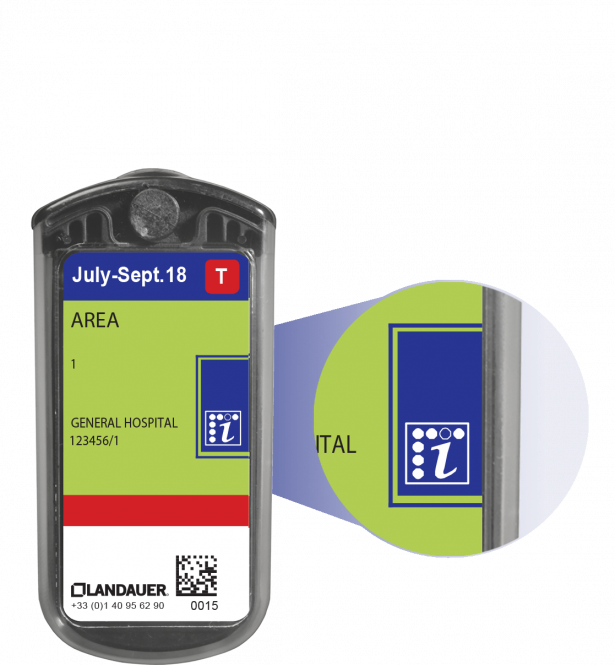 LANDAUER provides you with wall mounting support enabling easy installation of your area dosimeter.